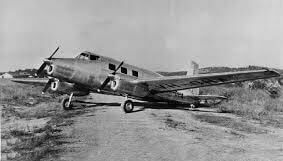 The De Havilland Drover was developed in the late 1940’s to replace the DH84 Dragon aircraft then in widespread service in Australia. 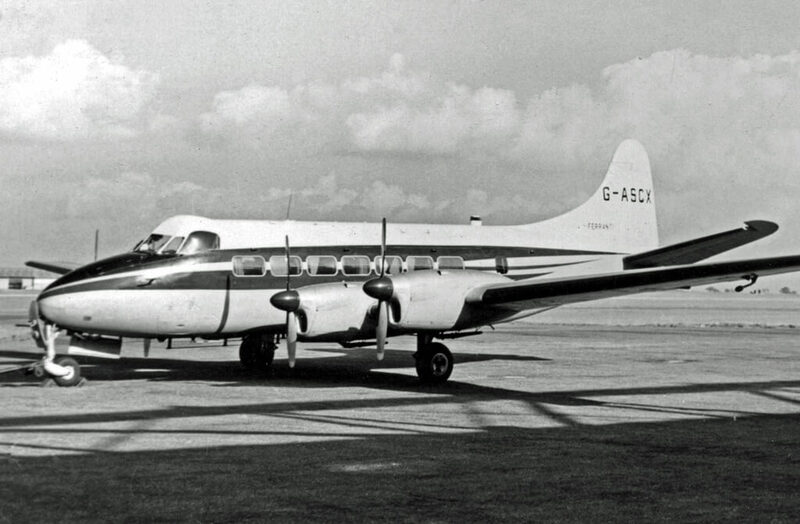 The British De Havilland Dove was taken as the starting point, the two six-cylinder Gypsy Queen engines were replaced by three four-cylinder Gypsy Major engines, and a tailwheel undercarriage was used. The type first flew in 1948 but performance was disappointing. Early aircraft also had a problem with the original propellers which resulted in the loss of two aircraft. Although various improvements were made the aircraft was never popular and only 20 examples were produced. 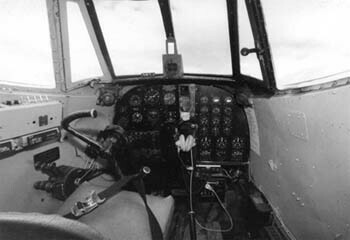 Several aircraft were later converted to Lycoming engines, and known as the Mk 3. 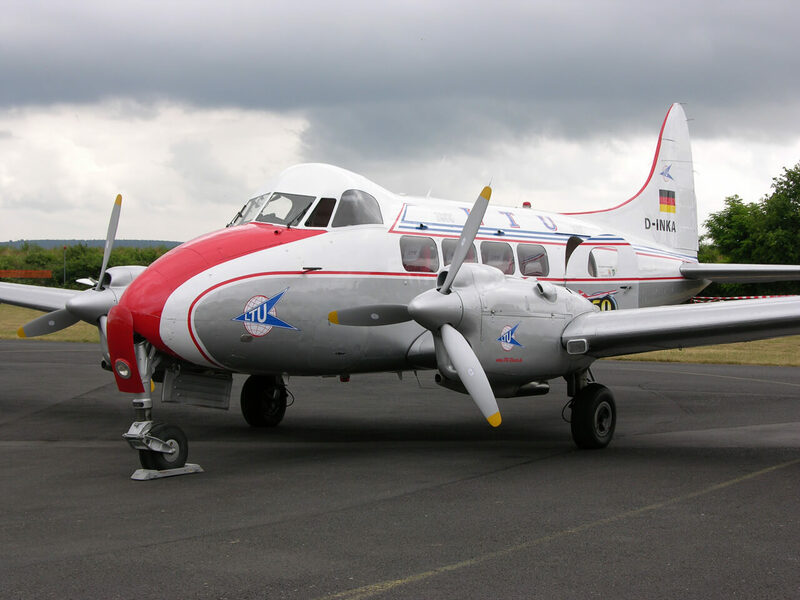 The last example in commercial service soldiered on until 1985, but many examples survive, including at least one restored airworthy aircraft. 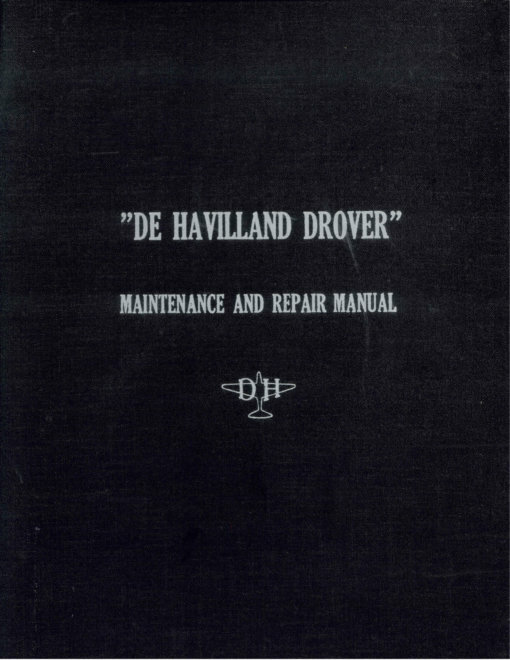 This title contains two Maintenance manuals for the Drover, one including Pilots Notes, and two manufacturers brochures. The files have been scanned from the original flight manuals and retain any colour pages. 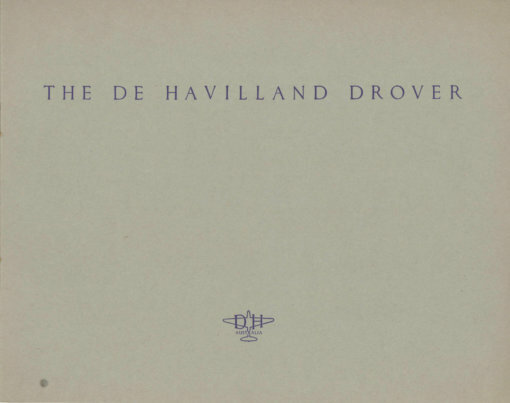 De Havilland Australia DHA-3 Drover (Hand amended to “Mk 2”), including Pilots Notes. Dated February 1952 with approx 98 pages. 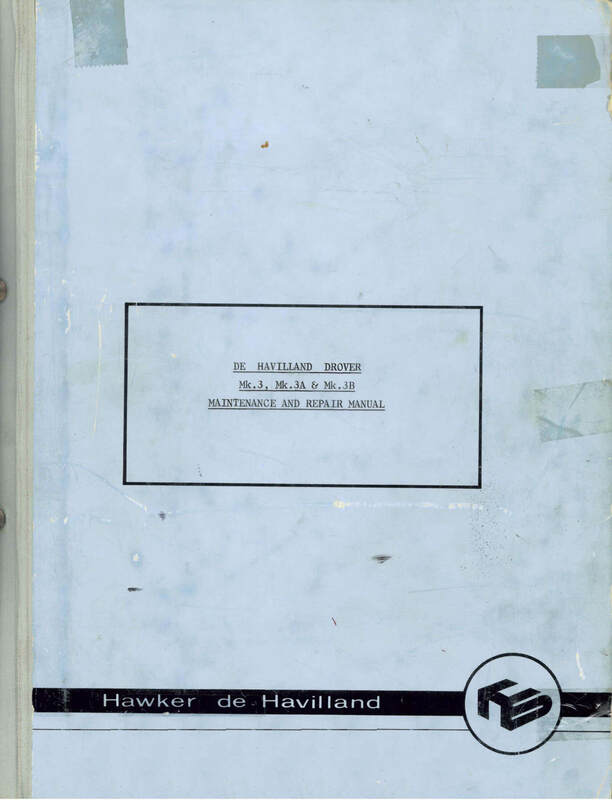 Manufacturers Maintenance and Repair Manual for the De Havilland Australia DHA-3 Drover Mk 3, 3A and 3B. Undated with approx 130 pages. Manufacturers brochure for the De Havilland Australia DHA-3 Drover dated August 1948 with approx 11 pages. 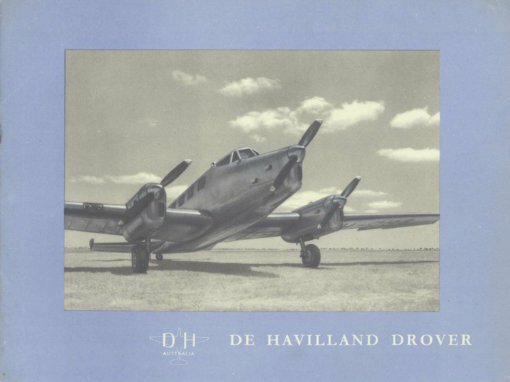 Manufacturers brochure for the De Havilland Australia DHA-3 Drover dated May 1949 with approx 20 pages.